Here is a three step process you can use to organize your digital estate for your loved ones. 1. Make a list of all of your digital assets and how to access each one. Domain names – do you have your own website? You may have a blog or website that drives your small business income. Credit Cards – cards with cash-back features may be redeemable after death. How can your “Digital Executor” access these assets? Sharing your logins and passwords is essential to the continuity and management of your digital estate. Consider using a password manager like LastPass, which includes a service to allow trusted friends and family to access your account in the event of an emergency. Don’t forget to makes notes of the important security questions you have established. Items like the street you grew up on or your first car are common samples. Here is an example of a checklist for a system to get you started gathering your digital assets. 2. Decide what you want done with these assets and communicate this to the person you have appointed as your digital executor. How should each asset be handled? That depends on the nature of the asset. Some assets are more important than others, some assets you may want to save and archive and others deleted or accounts closed. Some may have more than emotional or historical value that could be transferred to a designated beneficiary. Some sites have their own policies that may conflict with your plan; this is typically spelled out in the “Terms of Service” agreement when you set up the account. Reassign to beneficiaries – frequent flyers programs, computers, photos. Delete – close down accounts that are no longer needed. 3. Decide what storage system is best for you and set up the system. A. Write it all down on a notebook that you lock up in your home safe. Cons: Every time you make a change you need to access the safe and update the notebook. B. Create a spreadsheet and password protect it. Cons: The spreadsheet password could be fairly easy for hackers to figure out. Pros: Easy to update. You only need to remember and share the master password. Lastpass: Unlimited backed up storage for all your passwords and notes. You only need to remember one master password. Works on all of your devices. $2 per month for 1 user. Keeper: Password manager and digital vault to store important documents. $25.49 per year. Everplan: A complete archive of everything your loved ones will need should something happen to you. Securely store wills, passwords, funeral wishes, and more in your own secure and shareable vault. $75 per year. The important element for any of these choices is to be sure that the people who need to know where the plan is stored actually know and you commit to keeping it up to date. Communicate the plan to your digital executor and periodically show them where the plan is located and how to access it. Cons: Will this platform be around in the future when you need it? Pros: All you need to remember is the main password, and it provides some security. 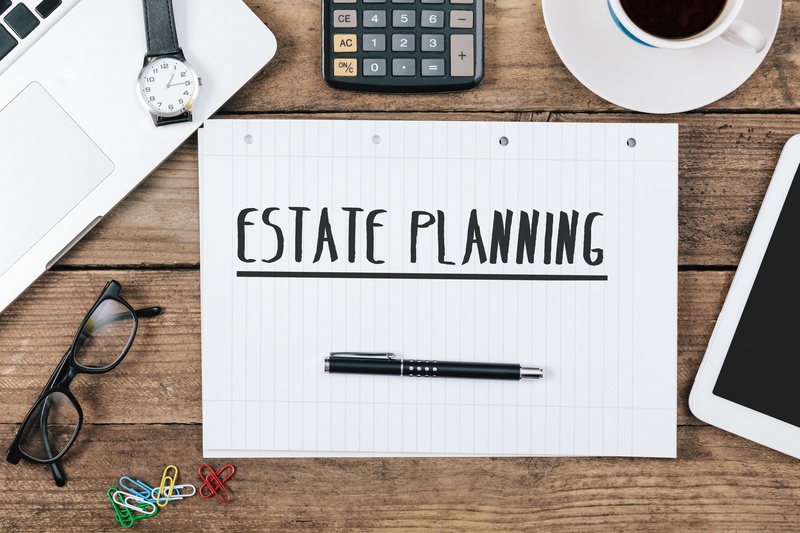 Many estate attorneys are now including digital asset plan as part of their client’s legal estate documents. Although we don’t recommend including sensitive information in your estate documents, you could refer to your digital system in your estate documents letting the executor know that you have a system that contains the necessary information needed to settle your digital estate. Often the biggest challenges with organizing your digital estate is to commit to keeping your system current. Every time a password is changed the system needs to be updated. Considering the time and effort it takes to set up any system it seems prudent to invest your time into a system that makes life easier for you as well as your Digital Executor. Investment Advisory services offered through Birchwood Financial Partners, Inc. an SEC Registered Investment Advisor. All written content is for information purposes only. It is not intended to provide any tax or legal advice or provide the basis for any financial decisions. Opinions expressed herein are solely those of Birchwood Financial Partners, Inc., and our editorial staff. Material presented is believed to be from reliable sources; however we make no representations as to its accuracy or completeness. All information and ideas should be discussed in detail with your individual adviser or qualified professional before making any financial decisions. We are not affiliated with or endorsed by the Social Security Administration or any government agency. The inclusion of any link is not an endorsement of any products or services by Birchwood Financial Partners. All links have been provided only as a convenience. All written content on this site is for information purposes only. Opinions expressed herein are solely those of Birchwood Financial Partners and our editorial staff. Material presented is believed to be from reliable sources, however, we make no representations as to its accuracy or completeness. All information and ideas should be discussed in detail with your individual advisor prior to implementation. Birchwood Financial Partners is an SEC Registered Investment Advisor (Registration does not imply a certain level of skill or training). Please note that Birchwood Financial Partners nor any of it agents give legal advice or detailed tax advice. The presence of this web site shall in no way be construed or interpreted as a solicitation to sell or offer to sell investment advisory services to any residents of any State other than the States of AZ, CA, FL, IA, IL, MN, OR, TX, WI or where otherwise legally permitted. Birchwood is not affiliated with or endorsed by any government agency. Images and photographs are included for the sole purpose of visually enhancing the website. They should hot be construed as an endorsement or testimonial from any of the persons in the photographs. © 2018 Birchwood Financial Partners. All rights reserved.